Blender has become one of the most popular 3D and animation tools on the market, with over 2 million users, and it is free! Animating with Blender is the definitive resource for creating short animation projects from scratch, the ideal platform for experimenting with animation. 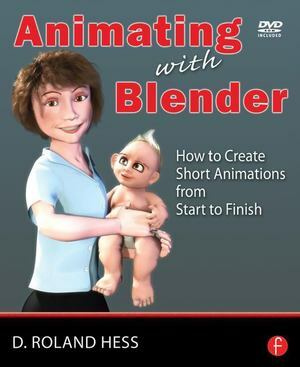 Blender expert and author Roland Hess walks you through the entire process of creating a short animation, from writing to storyboarding and blocking, through character creation, animation and rendering.